December often equals 31 days of excess. Excessive partying, eating, shopping. So, having some lust-haves is quite the norm. Only two of mine though can be bought in a shop and I doubt they will be in the sales. Another three require time and a lot of hard work, still the results are not guaranteed. As for the sixth, I really don’t know where to start. 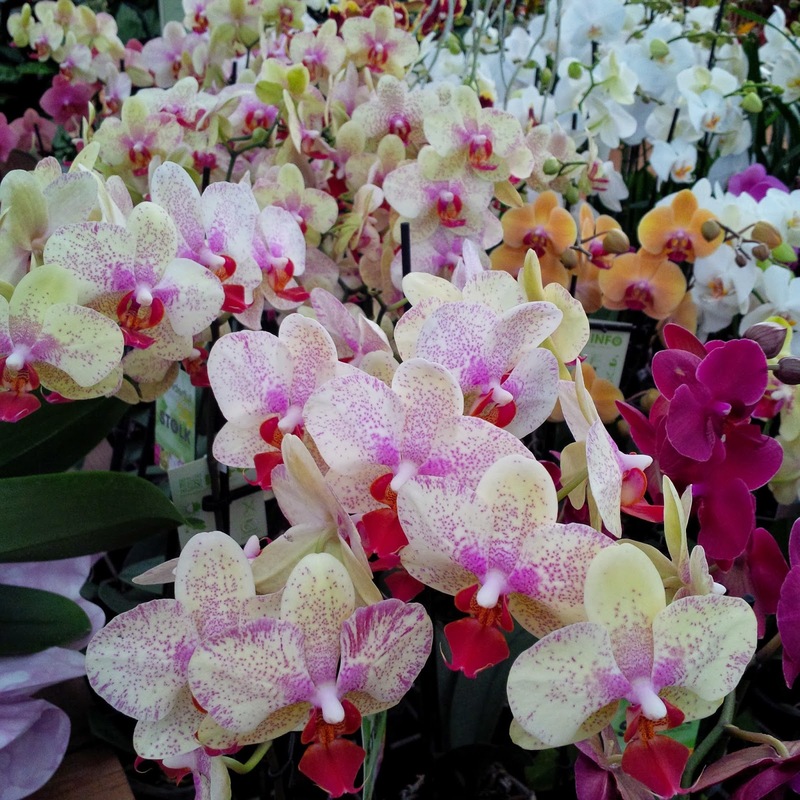 A Colourful Orchid – I am really lusting after a new potted orchid. Especially the one with light yellow petals with purple splashes that I saw a couple of months ago in a fabulous Italian shop called Viridea. I have a few potted plants at home and love them to bits even though I have a tendency to water them too much at times. One of them is a white orchid my mum gave me when I had my baby. I’ve always thought that orchids are very difficult to look after, so I was quite unsure if I would be able to care well for it. 18 months later, the orchid is still alive and kicking, sprouting new leaves and flowering branches. I even repotted it. So, now that my lust for orchids has been ignited, it would be great to have a new one to keep my white one company on the windowsill. World Peace – Honestly, aren’t you tired of what’s going on in the world? I am not a Miss World contestant hoping to secure the title by stating naively or shrewdly that all I’ve ever wanted is peace for the masses, but enough is enough. Some days when I open my preferred online newspaper, I feel like all the light has drained out of this world. Experimenting with Rice – I read about this experiment that reportedly has been conducted in Japan and is now replicated by people all over the world. It purports to prove the power of spoken words over the physical matter. Apparently, you need to boil some rice, divide it between two jars, tighten the lids and for the next 30 days talk lovingly to one of the jars and be really offensive to the second. Some people read poetry and play soothing music to their ‘love’ jar and shout abuse coupled with aggressive music to their ‘hate’ jar. The result after a month seems to be that the rice in the first jar appears just like in the day it was boiled, whereas the rice in the second jar has gone all green, mouldy and disgusting. I have never been one for hogwash, but at the same time I have always been interested in the power words hold over us and our self-esteem. So, I may attempt to do this experiment myself and see what happens. Making This Blog A Success – I would really love it for my blog to become a point of reference for parents and/or people looking to relocate to Italy. I enjoy writing my stories, expressing my emotions, collating my best pictures and setting on virtual paper fleeting moments and thoughts of my life. It would be great to engage with more people through my blog, to make friendly connections and establish a rapport. Apart from my regular travel and less regular food posts, I am now working on style and beauty updates to come in the New Year. At the same time, I am building on my social networking. So, if you want to get in touch to say hello, ask a question or explore future collaborations, please, leave a comment bellow or connect with me on Twitter, Facebook, Google+ or Instagram. Feel free to also send me an email. It would be great to hear your thoughts. Starting Another Blog – I’ve been having this idea for another blog for such a long time, that I have already written dozens and dozens of posts in my head. I have bought the domain name, looked into blog templates, researched industry contacts. I just need to find the time to make it all happen. It will be fabulous, I promise you!! Someone once told me that when we say that we can’t find the time to do something, it means that said ‘thing’ is not a priority for us. So, it’s really my priority to start this other blog and run it concurrently with the current one. Fingers crossed! A New Blog Template – I am on the lookout for a new blog template for Rossi Writes. I love its current look and feel, but unfortunately the template has several glitches that make me unhappy to look at them. I have made the designer aware of them, but I am as of yet to receive a response how these should be fixed. So, I am on the lookout for a new fabulous template coupled with a developer that understands my needs. Know someone? You are this person? Let me know. I will happily look into any and all recommendations. Thank you for stopping by. Let me know your thoughts in the ‘Comments’ section below and connect with me on Twitter, Facebook,Google+ and Instagram.